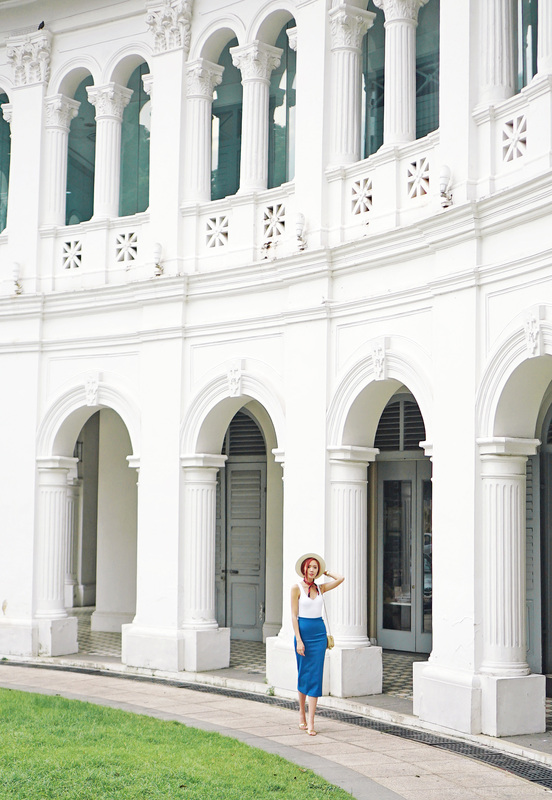 Living in a tropical country has made me an expert on hot weather dressing so styling for Singapore weather is a piece of cake. When I went to the Lion City some time last June, I was determined to beat the heat in every way possible–including wearing my swimsuit out in the city. Don’t worry, I wasn’t showing my bum for all the world to see. I paired my Soak Swimwear onesie with a pencil skirt and kept it summer-ready by throwing in a straw hat and comfortable slides. My main priority was to keep my back free of any fabric. (Hate back sweat.) My swimsuit with its low cut back seemed like the perfect choice… well at least until it came to using the toilet and I had to rush out of it to pee. Nature is cruel like that. Don’t do it bcoz indeed a struggle one. I remember i did that back when i was in nyc,wearing 1 piece and a short at the same time i have to remove everything before i can pee. (TIIS GANDA) LOL!!!! Yes! Especially when the heat is too much and you need to dive into the pool! This outfit is perfect for travelling, very light and it looks chic. Wow! Super love your styles. Love the idea of wearing your swimsuit and paired with that pencil skirt. I’m in love with the overall outfit. How I wish I could have your brain when it comes to fashion. Slaying all the photos and the place is so wonderful. Thanks Katrin! :) Nasa swimsuit din haha! So so hard really but it looks so good! Love the look! Love the scarf too! Where did you buy it? Oh gosh, this is my mom’s. She doesn’t even remember buying it haha! love the outfit Ms Camille! Thank you Gayle!!! :) Why not! Ang cute mo talaga hehehe. I love those with low cut back style rin. Love how you styled it like a regular day clothing. So chic and fab! coz’ its already summer here sa pinas, do you have any suggestions on where to buy “budget friendly” one piece swimsuits?coz’ we will be having our department tour in Palawan and wala pa akong swimwear na pang OOTD..hahaha.. It looks so good!! I’ll for sure try a similar outfit with a swimsuit next summer! (Summer is almost over here and is not as hot 😑). Forever your number one fan from Peru and proud of it 💜. Thank you!!! I really hope I can visit Peru one day!! !